Don't worry! This hub will greatly help! Do you need the model number for your Eureka AirSpeed vacuum cleaner? Look on the back or bottom of your Eureka vacuum. There will be a silver-colored rating plate similar to the one in the right picture. Identify your model number which will be comprised of a series of letters and numbers. When maintaining your vacuum, or calling in to Eureka for troubleshooting problems, you'll need both the model and type. The phone number to call Eureka for service information is also located on the rating plate. 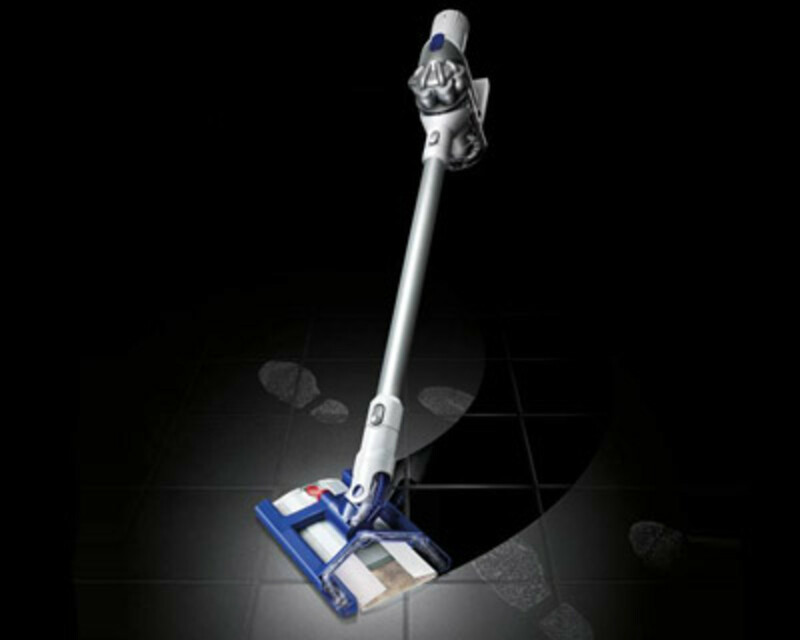 First, unpack your vacuum and identify the parts, which are listed on the owner's manual. The videos in this hubpage will also help to identify the parts for you. Begin assembly, by removing the dust cup from the vacuum cleaner. Push the handle down onto the vacuum. On the back of the vacuum, slide the carry handle onto the back of the handle. It should snap into place. Next, insert the turbo nozzle holder. Ensure that the dial on the turbo nozzle holder is turned vertically to the unlocked position. Insert the tab of the turbo nozzle holder into the front of the handle. Rotate it down and snap it into place. Turn the knob to the right to lock. Place the lower hose retainer onto the back of the vacuum. Push it down past the rib to lock it into place. Place the upper hose retainer on the back of the handle, under the loop grip. Push it up to snap it into place. To install the hose connector, align the tab at the right side of the connector and snap it into place on the left. Pull out the bottom nose of the hose retainer and position the hose on the vacuum. Place the hose over the upper retainer. Push wand one onto the end of the hose. Slide wand two over wand one. Place the end of the wand over the hook on the back of the vacuum. Secure the wand into the side carry handle. Push the cord into the hooks on the side and upper carry handle. Wrap the cord on the cleaner. Place the crevice tool and dusting brush in their holders on the carry handle. Place the turbo nozzle in the turbo nozzle holder on the front of the vacuum. Finally, place the dust cup into the front of the vacuum and rotate it into position until the latch catches. Watch this video to see a visual demonstration on how to assemble your new Eureka AirSpeed vacuum cleaner. These are the main parts to know when maintaining your Eureka Airspeed vacuum cleaner: filter, screen, exhaust filter, brush roll, & belt. To the right, you will see a diagram which shows where these parts are located on your vacuum. Why is it important to change your Eureka air filters regularly? 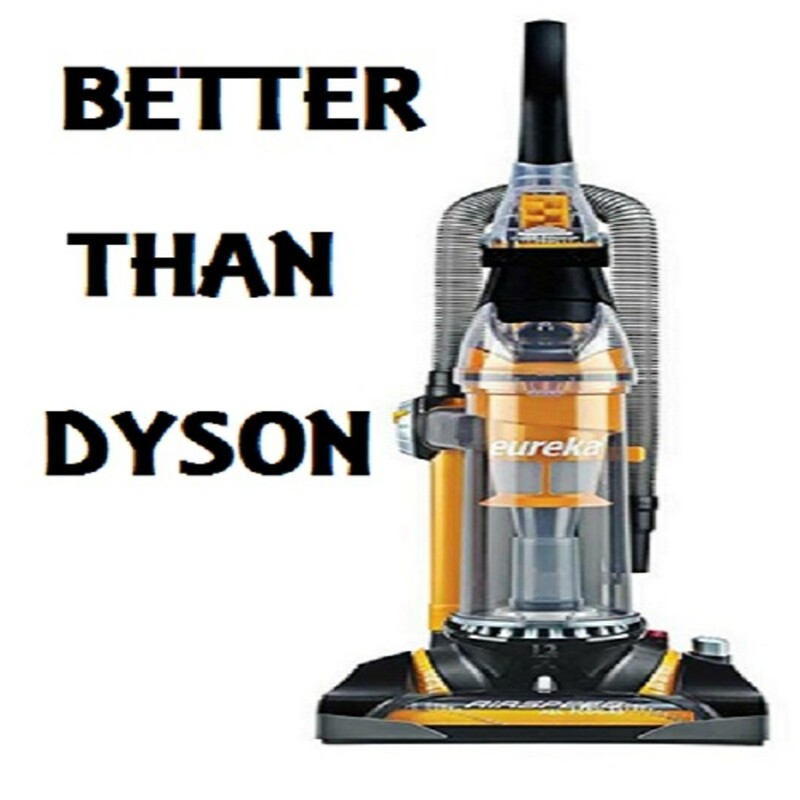 The air filters control the air speed of your vacuum. 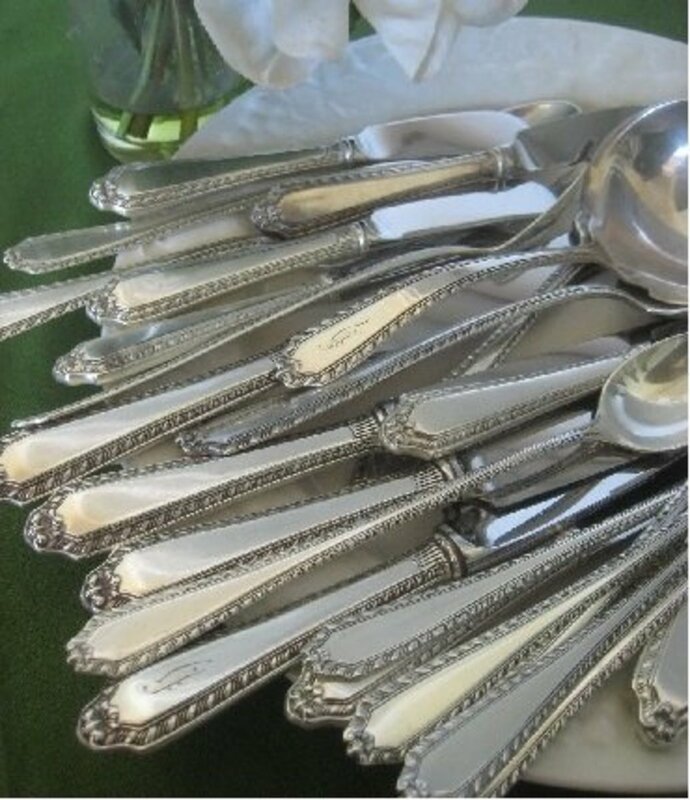 Therefore, you should maintain them regularly. If you have noticed a difference in suction, then check the filters as they may be dirty or clogged. 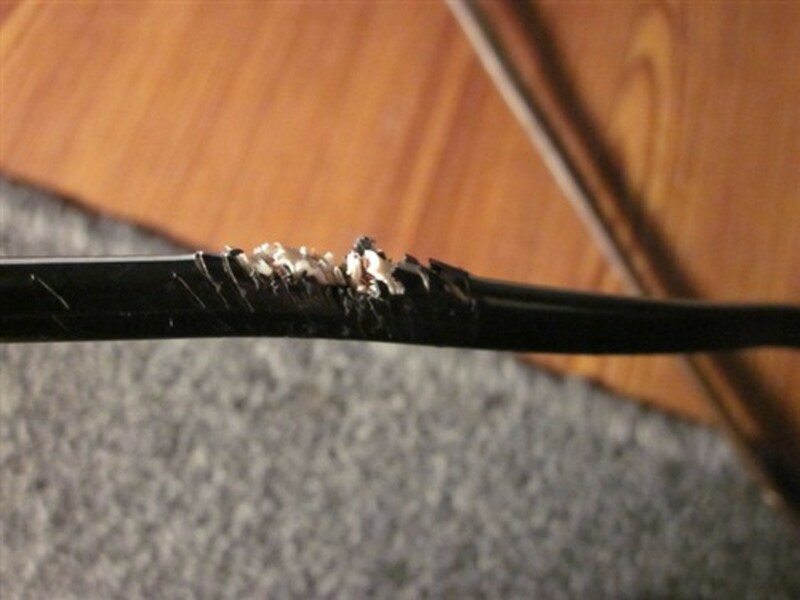 Ignoring this problem could cause your vacuum to overheat! When should you replace your filters? Eureka recommends that you replace the filters every six months for optimal performance. DCF21 air filter - Lift up on the latch of the dust cup and set it in front of you on the floor. Pull down on the yellow tab which is located on the top of the cup. The top will pop open so that you can twist or remove your old filter. Replace it with your new filter and twist it into place. Next, align the notch on the front and snap the top into place with the yellow tab. EF6 air filter - First, remove the filter cover and then simply pull out the old filter. Replace it with your new filter. Then, snap the cover back into place. Then, place the dust cup back onto your vacuum. It's that simple! 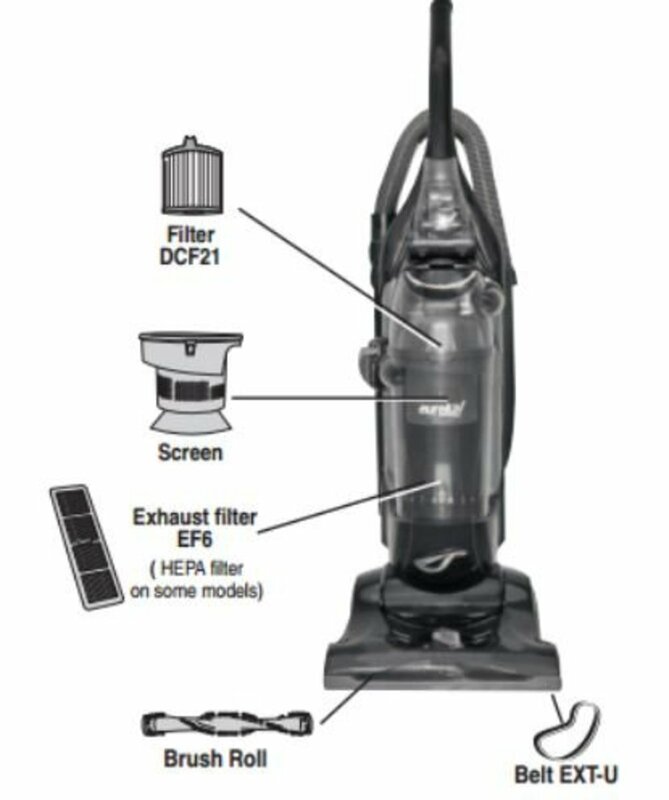 Watch this video to see a visual demonstration on how to change the air filters on your Eureka AirSpeed vacuum cleaner. The Eureka Airspeed DCF21 Filter should be changed every 6 months for optimal performance. An Arm & Hammer Odor-Eliminating version is also available at Wal-Mart: Click Here. Captures 99.97% of all airborne pollutants, 0.3 microns or larger, including mold spores, pet dander, grass and ragweed pollen, and other microscopic allergens. Change every 6 months. Next, we will learn how to change a u-belt on your Eureka Vacuum. Belts should be replaced every twelve months for optimal performance. First, press on the foot pedal and lower the vacuum onto the floor. Remove the four screws from the brush roll cover. Then remove the brush roll cover and set it aside. Take the brush roll and belt from the vacuum. Remove the belt from the brush roll and replace it with your new belt. Attach the new belt to the motor shaft and around the brush roll. Next, fit the left side of the brush roll end cap into the base. Then, insert the right side. Rotate the brush roll for two full rotations to ensure that the belt is centered and has free rotation. Finally, replace the brush roll cover and the four accompanying screws. Watch the below video to see a visual demonstration on how to change the u-belt on your Eureka AirSpeed vacuum cleaner. The U belt, on your Eureka Airspeed Vacuum, should be replaced every twelve months for optimal performance. A pack of 6 Eureka U-belts are available at Wal-mart for $32.49: Click HERE. The model of Eureka Airspeed vacuum that I have, and LOVE, is the Eureka Airspeed All Floors which is only available from Wal-mart. It even picks up Cheerios (the Dyson does not)! 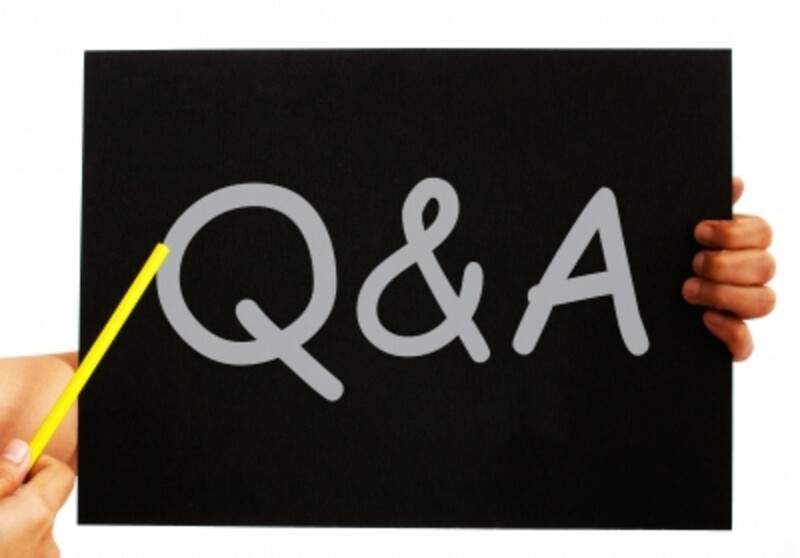 Do you have questions about maintaining your Eureka Airspeed Vacuum cleaner? I would like to include a full hubpage on this topic. If I have missed something, please let me know. I will be happy to help find the answer to your question. This looks like a very useful article.